The 1940 US Census is coming to MyHeritage! Free! Millions of people in the USA and around the world are counting the hours until the release of the 1940 U.S. Federal Census. At MyHeritage, we’re thrilled to announce that we’re playing our part in this big moment in family history and, as of April 2, we’ll be offering you the census images and a growing searchable name index, completely free of charge. But the big news doesn’t end there! We’ve decided to go one step further and bring the records directly to you. From April, millions of MyHeritage users who have built trees on the website will be able to receive free, automatic alerts about 1940 census records matching their family tree. Users will get a head start in their research, and will be able to learn more about their parents, grandparents, great-grandparents and other relatives who lived during this important period in history. All this without having to conduct any searches manually. Why is the 1940 US census important? What does it mean for me? The 1940 census will reveal plenty of new information about family members, and in particular those who immigrated to the USA, including those who escaped from the Nazis in World War II. You’ll be able to access information on names, ages, addresses, race, occupation, marital status, citizenship, home ownership, house value or rent, relationship of each person in the household and place of birth. Several new and interesting questions appear in the 1940 census for the first time: name of the informant, highest school grade completed, place of residence in 1935, income, industry and mother tongue. Because of early-20th century mass immigration to the US, many people living around the world have relatives who moved to the USA and appear in the 1940 census. That’s why we’re making the census available in 38 languages, to help international users research their US families as well. This is the most recent US census to be made publicly available – due to the 72-year privacy protection rule – the largest and most comprehensive one ever to be published. It will provide a window into the lives of those who survived the Great Depression, the severe worldwide economic depression that preceded World War II. The generation that lived through this period is a special one, often described as the “Greatest Generation.” Check out our fascinating infographic below to get a glimpse of what life was like in 1940. Like many others, I also have relatives who came to the US before 1940. This census will give me the best possible picture of how those relatives lived from 1935-1940. For the first time, I will have a document I can show to current relatives who lived during that period. They can provide the complete story, beyond the facts. As a source document, this census represents a great well of information. I hope to discover not only a confirmation of basic facts (names, ages, birth dates and places, family relationships, etc.) but where they lived five years earlier, their occupations and incomes, education, military service and other languages spoken at home. The 1940 census is very personal for me as a snapshot of my family at an important point in US social history. I’m really excited to be able to access this information. My parents, their cousins and lifelong friends are listed as teenagers – the first generation born in America. The data for their foreign-born parents will provide me immigration and naturalization information in addition to still-changing surname formats. My parents grew up in insular New York neighborhoods, so it will be interesting to see their friends and cousins listed as occupants of neighboring houses on the same block or just a few streets away. The 1940 census release is exciting as it will help me to better understand my grandparents and their upbringing. My surviving grandmother was just 14 when the census was taken and is now aging quickly. I’m looking forward to finding her in the census and understanding the conditions in which she was raised, post-Great Depression and before WWII. People around the world are waiting for this new data to be released so that they can expand their family trees and histories, as they relive history through the the 1940 census data. Where can I find the 1940 US census data? 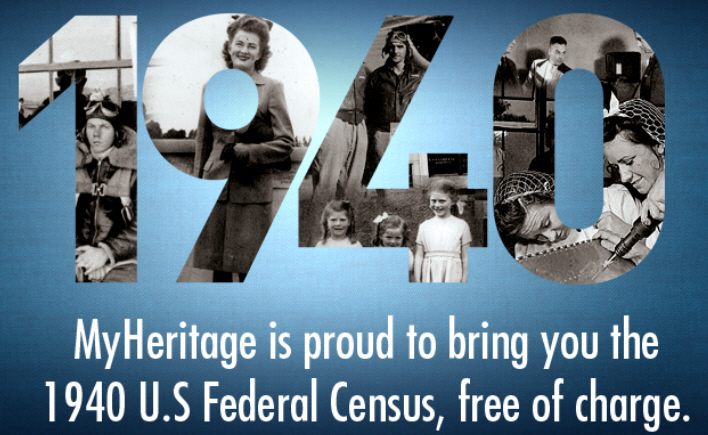 More than 3.8 million images and 132 million records of the 1940 US Census will be made available from April 2 on www.myheritage.com/1940census. The images will be available immediately and a searchable index will be provided gradually as it is produced throughout 2012. We will also provide the 1940 census images and index – for free – on the other leading sites we own and operate at www.worldvitalrecords.com/1940Census and www.familylink.com/1940Census. As an independent provider of the 1940 Census, we’ll be able to publish data from states not yet available elsewhere. We are using a professional service to help transcribe the digitized images for us, and have set extremely high accuracy goals for this process. 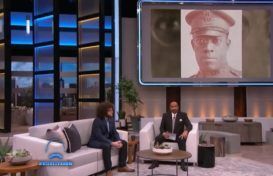 It will start on April 2, 2012, when a MyHeritage representative will receive the official census images from the National Archives and Records Administration in Maryland, USA. More information and news about our progress in placing the entire searchable census online will follow soon. Stay tuned! You can find the 1940 Census records at www.myheritage.com/1940census. This is great,Thank’s sdfo much. This is great, Thanks so much. This is really great,and you are to be complimented for providing this service free to members.I look forward to April 2nd. Thank you.